How Many Calories in One Piece of American Cheese? How Many Calories are in Cheese Lasagna? Bleu cheese is high in saturated fat. 2 How Many Calories in One Piece of American Cheese? 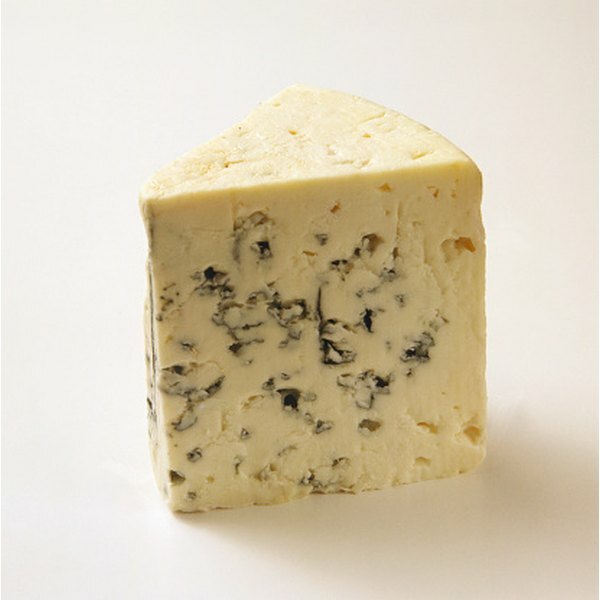 Bleu cheese is a sharp, crumbly cheese, aged using a bacteria that produces distinctive bluish veins throughout the cheese. Often crumbled into salads and dressings, or used as a garnish, bleu cheese is high in calories from proteins and fats. 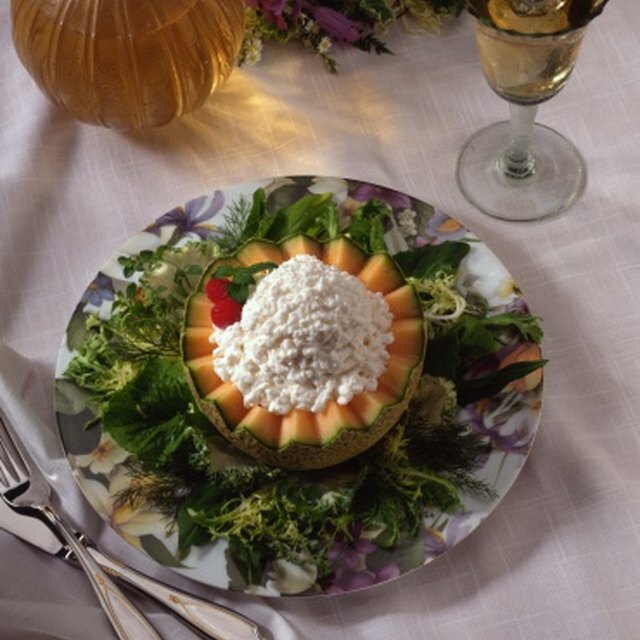 According to the U.S. Department of Agriculture, a 1/2-cup serving of bleu cheese crumbles provides 238 calories. Around 174 of those calories come from fats. Proteins provide 58 calories, while only 6 calories come from carbohydrates. The USDA also states that a 1/2-cup serving of crumbled blue cheese weighs around 68 g. Fats weigh 19.5 g within the serving, of which 12.5 g saturated fat. Proteins make up 14.5 g and carbohydrates comprise just 1.5 g per serving. The remainder is other nutrients and water. Bleu cheese also provides several important nutrients including vitamins A, B6, B12, E, and K, thiamin, riboflavin, niacin, folate and pantothenic acid. Dietary minerals within bleu cheese include calcium, phosphorus, selenium, zinc, copper, magnesium, iron and potassium. According to the Mayo Clinic, saturated fats within the diet can increase the risk of heart disease. A 1/2-cup serving of crumbled bleu cheese contains almost 80 percent of the daily recommended intake of saturated fats for the average adult. Can You Substitute Applesauce for Eggs When Making Pancakes?